Misanthrop & Aqua Luminus III. "6 Years Later EP"
6 years ago, Misanthrop & Aqua Luminus III. released the “Leinwand EP” on Audiac Records (an early subdivision of Equinox Records) as a 10inch picture disc. 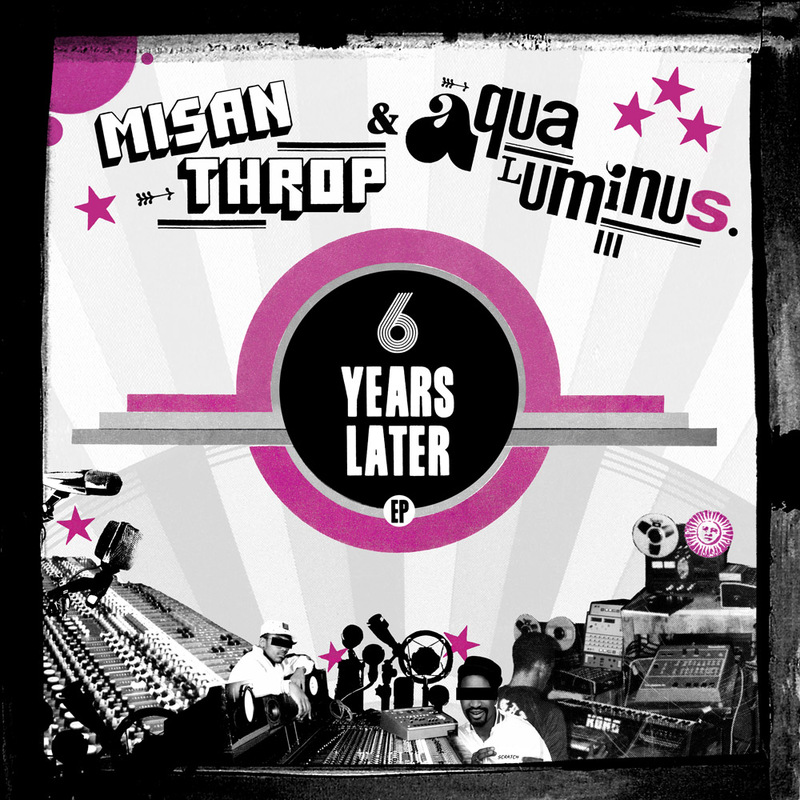 With their new collaborative offering, under the self-explanatory title “6 Years Later EP”, the two producers combine once again. The formula for their music has stayed the same: heavy beats, alongside raw cuts and samples blended together to create another banging electronic Hip-Hop release. However, it also offers some surprising new sounds as well as astonishing guest features: Underground hip hop legend 2Mex (Visionaries, SonGodSons), Fake Four’s very own Ceschi and UK rapper James P Honey provide superb lyrics and flows on “20 Stories Later”, the only non-instrumental track on the release. Additionally, the German turntablism legend DJ Stylewarz is cutting on “The 1 Billion Euro Song” alongside Munich's DJ icon Al Rock. Another skillful and mightily talented turntablist, SNTC, provides the scratching on "57 Bars Ahead". 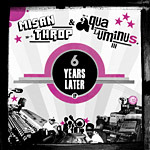 The “6 Years Later EP” features six tracks as well as two bonus tracks on the digital release. A definite sureshot in every record collection, refined with a fresh cover provided by The Raincoatman, the EP is released on July 20 as a limited edition 10inch.